Playprint Polska is leading company in Poland to offer expertise relating to all aspects of promotions, lottery and premium rate text campaigns. Rafał Grzegrzółka, Wojciech Koczorowski and Playprint Ltd founded the company in 2004. Playprint provides a complete service to companies and their advertising agencies in the organization of sale promotions, scratch cards, lotteries, Bingo, competitions, sweepstakes, giveaways and loyalty programs. This includes expertise for managing and printing lottery tickets in all aspects relating to promotions, advertising and fundraising. Playprint has developed a close working relationship with the ministry of finance responsible for permits and licences. For our overseas clients we often act as the Polish promoter as well as providing legal expertise and research about particular aspects of gambling in Poland. Over the past 10 years Playprint Polska group has acted as support to more than one thousand lotteries/sweepstakes. This is unparalleled by any other Polish company working in this area Since 2010 the legal requirements for operating promotional lotteries, sweepstakes and premium rate promotions in Poland has become more complicated. Playprint has kept abreast of these legal changes and are respected in Poland for their up to date knowledge and expertise. 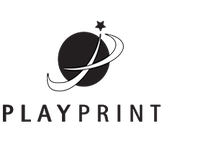 Our goal is to give our clients the peace of mind that in Playprint they have a company who will take care of all their concerns regarding lotteries/sweepstakes allowing them to concentrate on the sale of their products or services. I have more than 30 years’ experience in the lottery industry in the Uk and as the Secretary of the Lotteries council in Great Britain for more than 10 years have learnt a thing or two about the legal situation and do’s and don’ts here. If however I was asked about the Polish lottery situation I would rely on Playprint Polska. PlayPrint Polska Sp. z o.o. ul. Stroma 5/1 87-100 Toruń Poland.